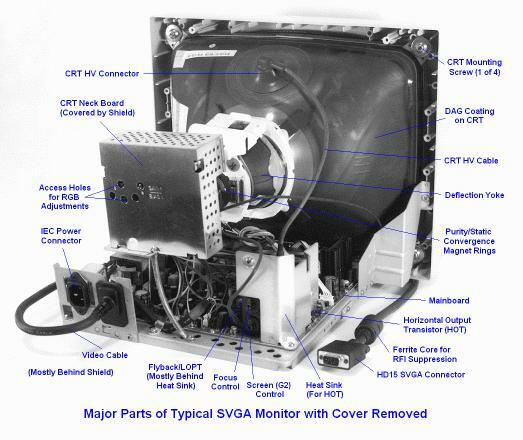 REA Technologies, Inc provides CRT monitor repair and CRT display repair service for all manufacturers of high resolution medical display monitors, industrial monitors, as well as LCD displays. REA Technologies has many years of experience performing repairs on all types of CRT monitors, LCD displays, and HMIs. We have performed CRT repairs and display monitor repair for various medical, commercial as well as governmental organizations. Our technicians are highly trained to repair legacy CRT's and displays as well as the most cutting edge CRT's and displays. We also offer replacement CRTs and LCD screens. Many companies are having the CRT displays on their machinery replaced with LCD. This technology saves money on power costs and can take advantage of the greater reliability of the newer technology. REA Technologies can also diagnose and troubleshoot your problems with LCD displays. A burnt out backlight can cause a screen to be almost unusable. A faulty inverter will not provide the correct voltage to start the backlight, or can burn it out. 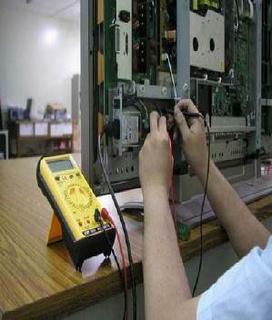 We can handle inverter and backlight replacement, touchscreen repair/calibration and/or entire LCD panel replacement. We also offer drop in replacement LCD screens for your obsolete CRT monitors in your older machines. 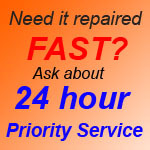 REA Technologies is an expert in LCD display repair. Many machine OEMs now incorporate touchscreen technology into their control panel interfaces to do away with standard computer keyboards and mice. 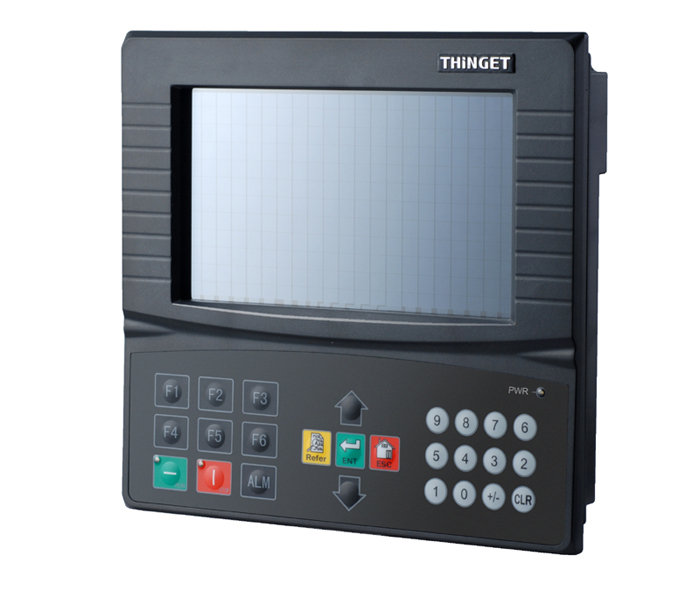 they can be combined into a single HMI using a touchpanel. A touchpanel is usually an LCD screen with a film over the screen that is touch sensitive. It can be used to replace the mouse or keyboard input on a computer or HMI system. There are many technologies that can be used in touchpanels. A resistive touchscreen panel is composed of several layers. The most important of which are two thin, metallic, electrically conductive layers separated by a narrow gap. When an object, such as a finger, presses down on a point on the panel's outer surface the two metallic layers become connected at that point: the panel then behaves as a pair of voltage dividers with connected outputs. This causes a change in the electrical current which is registered as a touch event and sent to the controller for processing. A capacitive touchscreen panel consists of an insulator such as glass, coated with a transparent conductor. As the human body is also a conductor, touching the surface of the screen results in a distortion of the local electrostatic field, measurable as a change in capacitance. REA Technologies can replace the sensor film on touchpanels, as well as troubleshooting display problems such as a burnt out backlight or faulty inverter. Many panels also require software to program and configure them. Additionally, many HMIs store programs on them also. This data needs to be backed up along with the PLC programs or computer software needed to run the machine. A membrane keyboard is a computer keyboard whose "keys" are not separate, moving parts, as with the majority of other keyboards, but rather are pressure pads that have only outlines and symbols printed on a flat, flexible surface. If these mambrane keyboards go faulty, few companies can repair them. REA Technologies has had good results in repairing our customer's membrane keyboards. If your keyboard is having trouble, let us take a look at it. We can refurbish your unit and get it responding like it should. Read about some of our success stories!